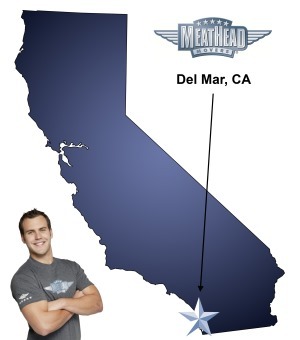 With plenty of moving services, Meathead Movers is fully prepared to make Del Mar your new home. Our clean-cut student athlete movers are dedicated to fulfilling all your moving needs efficiently. Moving to Del Mar provides families with an exciting opportunity to live in a seaside town that is strategically located just north of San Diego. Job opportunities are available in the metropolitan area surrounding Del Mar and family activities within the city range from spending a day at the beach to checking out the San Diego County Fair at the Del Mar Fairgrounds. The iconic Del Mar racetrack hosts horse races each year that bring together families from the area every summer. Families can focus on the positive points of moving to the town by hiring Del Mar movers to take care of the entire moving process. Individual services are also available to fit any budget. Meathead Movers provides comprehensive moving services to ensure that all your needs are met when you relocate. Our local, long-distance, and commercial moving services mean can carefully pack your belongings into moving vehicles and get them safely to their new locations. Our Princess Packers can even pack up boxes for you, and storage services are available while you settle into your new home or office. At Meathead Movers, we only hire clean-cut student-athletes who are skilled at working quickly and efficiently to keep you on schedule during your move. Meathead Movers offers seven-day per week customer support and moving concierge services to get customers in touch with key service providers in their area to help make settling into a new home easy. Moving to Del Mar offers benefits like living in the San Diego metropolitan area and enjoying over 260 days of sunshine each year, but the overwhelming task of moving may take the fun and excitement out of the opportunity. Hiring Del Mar movers means that someone else does the hard work while you get started on settling into your new life in the city by the sea. On top of all the benefits of choosing Meathead Movers, we are the only moving company in the entire state of California that offers a 100% satisfaction guarantee. Ready to get moving? Contact us for a free, no-obligation quote today! View more Del Mar resources. The guys were smart. They discussed the possible options and all agreed on the final decision. It was a great team, and a very challenging move.